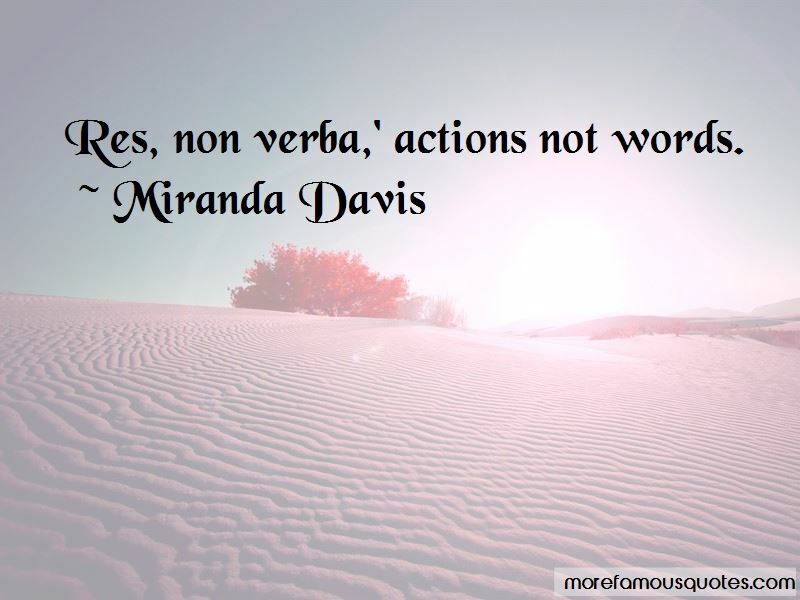 Enjoy the top 7 famous quotes, sayings and quotations by Miranda Davis. “Rather than fall completely under his spell, she huffed, "I should like to see you submissively fond of your wife. Given your professed opinions, I cannot expect much fondness from you as a husband, can I?" How long would it take for her sadness to ease? How long must she wait to forget a man who would've been her ideal, were he not who he was? The answer: too long. But wait she must. “His parenting never involved indulgence, just benign neglect. And having let me do as I wish for two decades, it seems a mean trick to impose discipline by marrying me off to some relic from another age." 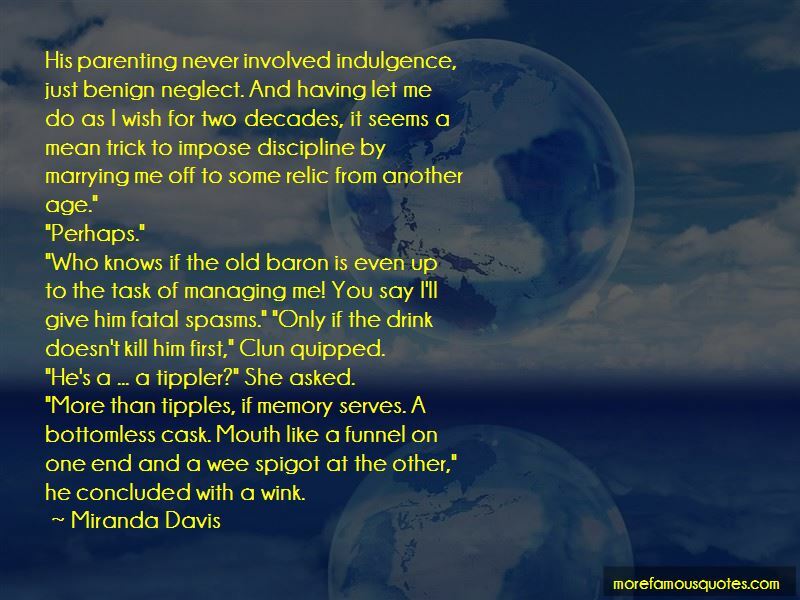 "Who knows if the old baron is even up to the task of managing me! You say I'll give him fatal spasms." "Only if the drink doesn't kill him first," Clun quipped. "He's a ... a tippler?" She asked. The duke understood the danger in having an important conversation too often in one's head before having it with the intended party. 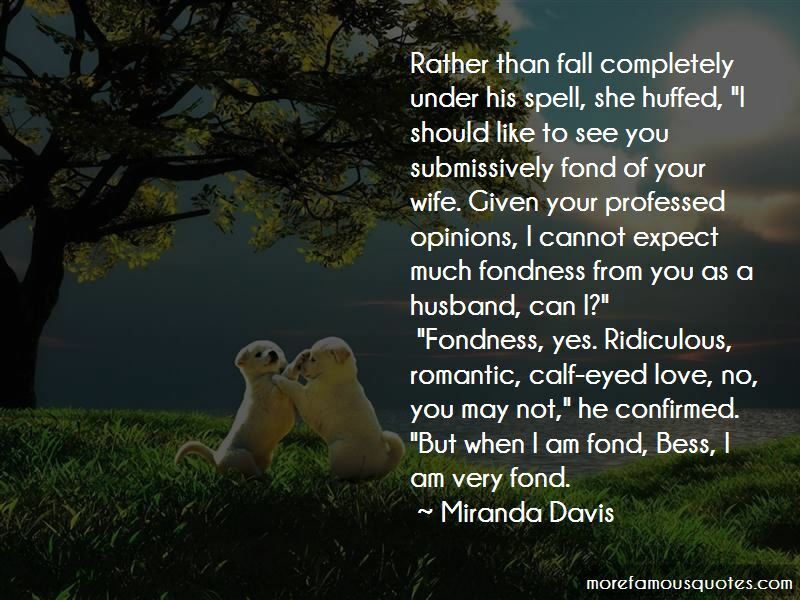 Want to see more pictures of Miranda Davis quotes? Click on image of Miranda Davis quotes to view full size.